On Tuesday, British band Rixton released their new single, "Wait On Me, and somehow, it's equal parts Maroon 5 and Rihanna. Yes, you read that right: Maroon 5 AND Rihanna. I don't know how the group pulled it off, but the result is actually pretty amazing. 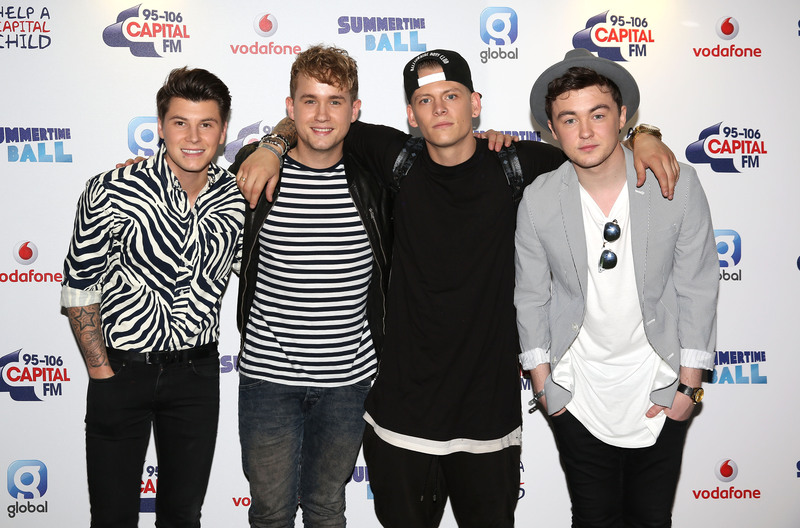 You probably know Rixton from their debut single, "Me and My Broken Heart," which peaked at number 14 on the Billboard Hot 100 chart earlier in 2014. The band received some criticism for just how closely "Heart" resembles Rob Thomas' 2005 hit, "Lonely No More," so it's a bit odd that they decided to release a track that sounds like both Maroon 5's "One More Night" and Rihanna's "What's My Name" as a follow-up. Will Rixton be able to make a name for themselves in the music industry if they continue to release such "familiar" songs? I think it's a valid question (though it's important to note that "Heart's" similarities to "Lonely No More" didn't stop it from becoming a hit). So, why does "Wait On Me" remind me so much of Maroon 5 and Rihanna? Well, for starters, it was co-written and co-produced by Benny Blanco, who has worked with both Maroon 5 and Rihanna in the past. Stargate, Rihanna's frequent production collaborators, also had a hand in creating the track. It's all starting to make sense now, isn't it? Before Tuesday, I had no idea that I needed a Maroon 5/Rihanna mash-up, but I did. I really did. Listen "Wait On Me" via Rixton's official YouTube channel below. If you're diggin' the song, be sure to check out the band's debut EP, Me and My Broken Heart, on iTunes. Hopefully, the group will release their first full-length album soon.